SANTA ROSA, Calif. (October 11, 2017)—Wine industry leaders have formed a support network to provide immediate assistance and long-term aid to victims of the fires ravaging Northern California and are calling on the national wine community for additional help. Organized by a group of association leaders representing the Golden State’s major winegrowing regions, support efforts include fundraising and creation of an online resource where vintners can find and offer resources, such as generators, trailers, lodging and manpower. Petersen is working with other local industry leaders to organize resources and direct them to those in need. The group has created an online form where supporters can list available resources and provide contact information. 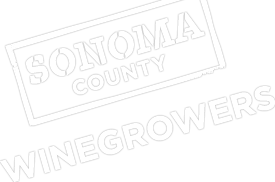 Resource and contact information will be shared only with members of Sonoma, Napa and Mendocino winegrowing and vintner associations. Click https://bit.ly/2wNVda0 to offer resources. Community-wide fundraising efforts are underway and messaging is being organized around the hashtag #CAWineStrong. More information will be made available in the coming hours and days.